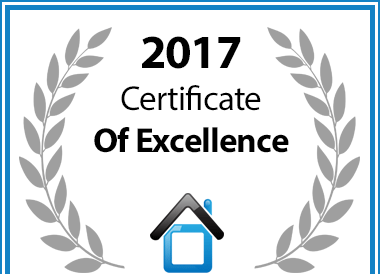 Constantia Cottages has won a 2017 Certificate of Excellence! Constantia Cottages in Cape Town has been awarded a Certificate of Excellence in recognition of exceptional service. Did you ever hear about the Namaqualand in South Africa before? "Viewing flowers" could be an unforgettable experience of your trip to the southern tip of Africa. Square kilometers of daisies that are on display along South Africa’s West Coast between Mid August and Mid September, depending on rainfall. The Namaqualand region is probably the most famous location to view the millions of flowers that bloom during the late winter/early spring season. From Cape Town it is about 500 km north, quiet far for a day trip. You have to stay in Springbok or in the Namaqualand National Park. Alternatively just one hour’s drive from Cape Town is the West Coast National Park. The Postberg area, famous for the flowering daisies in the park is open only during these months of the year. Worth a visit! Cape Town's world famous Table Mountain was inaugurated as one of the world’s "New7Wonders of Nature". Mornings and afternoons are ideal for hiking and walking on this national treasure as the temperatures are usually ideal, especially in wintertime. There are several walking routes available. But first of all you have to go on top with the Cable car. Of course you can walk to the top by yourselves. Don't forget to carry your camera with you and make some great pictures of Cape Town, Bloubergstrand and Camps Bay from above. Year by year, from June to November, whale's arrive at Sout Africas coast line. Best place to spot these specie might be the coast of the seaside town Hermanus just one hour drive away from Cape Town. The charming village is widely regarded as the best land-based whale-watching location in the world. The whales usually stay in the area for a number of months, so visitors will have plenty of time to schedule a trip and witness one of the largest mammals in the world in its natural habitat. There are also a number of walking trails to whale-watch, including land-based and aerial viewing. Gansbay and the small town of De Kelders, both villages are located on the eastern side of Walkers Bay, are an extra 30 minutes drive away but offer also great views onto the whales.